Working with a team of engineers, Dr. Ivar Mendez created an accurate replica of the patient’s brain, which will allow him to practice surgery. Dr. Mendez is the head of surgery at the University of Saskatchewan, and is already familiar with using advanced technologies to improve surgical results. He uses computers in the operating room, and has a medical engineer as part of his surgical team. However, putting together a 3D brain was a more complicated task, but it would make it possible for him to practice working on some of the smallest components of a brain. 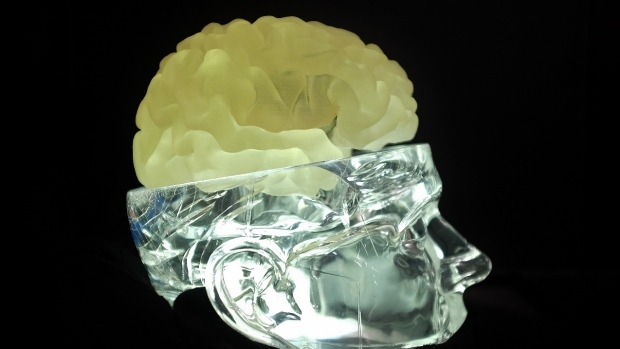 What makes the model so valuable is that it’s an exact replica of the patient’s actual brain. If they have a tumor or other abnormality, Mendez and his team can create a replica that includes these unique features. The patient in question was planned to undergo deep brain stimulation. Dr. Mendez needed to insert electrodes into the brain to help soothe overcharged neurons. He usually plans this kind of surgery using a computer model, but wasn’t successful in this case. His idea was to position one electrode to affect two target neurons, but the computer model wasn’t capable of this kind of surgical planning. Human brains are particularly complex, which makes it difficult for computers to predict how the tissue will react to certain tools. “I wanted a way to really, before I did a surgery, to know exactly how this was going to reach the brain and the targets I wanted,” Mendez told The Star Phoenix. That’s why Mendez decided to team up with the school of engineering at U Saskatchewan, as well as radiology technicians and a neuropsychology specialist. The team worked together to make the MRI data understandable to the 3D printer. The 3D model took 7 months of planning before a prototype was created. It was printed using a transparent material similar to rubber, that allows surgeons to see all the internal structures of the brain as well. Mendez said it also feels fairly similar to an actual human brain. "I'm a neurosurgeon but I'm also interested in art. To me, this was an object of beauty,” he said. Dr. Mendez believes the development of the technology will bring new opportunities for surgical practice. "I envision that in the future we may be able to do procedures that are very difficult or impossible today," he said. "I feel that in the next 20, maybe 25 years, we will be able to print biological materials. We may be able to print organs."